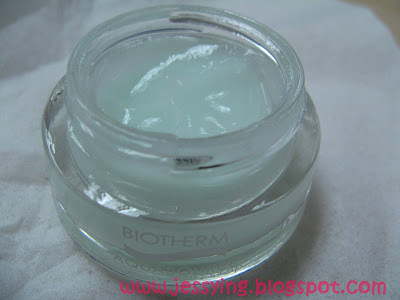 Early in the morning received sms from Sasa to bring my old moisturizer to exchange for Biotherm's freebies. Ransacked for my old Clinique's moisturizer and luckily found it after 10 minutes! 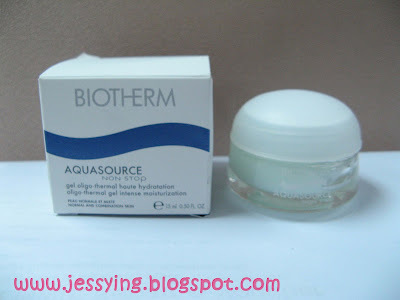 So lunch today went with Sasa to see whether is it truth they are giving out Biotherm Aquasource pot 15 ml if I bring your Old Moisturizer worth RM50 fo exchange. How great is it by not shopping and get freebies ! By not shopping this few days , I realised I got more freebies because I'm a freebiesholic* seems like all is out there waiting for me to get it ! Sasa has told me long before about how wonderful this water based moisturizer done miracle to her for past few years until recently her face no longer can feel the miracle and she decided to change to use Laneige. 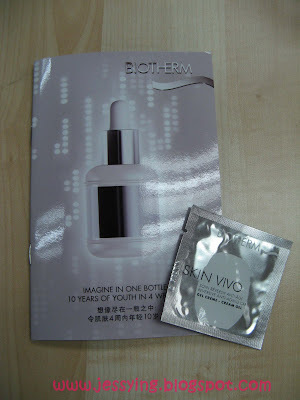 When I asked for more samples to try, the SA gave me the latest range of Biotherm Skin Vivo , which target for anti-agng by protectng and repairing our DNA from micro-damages. 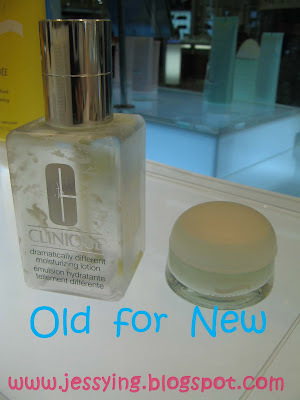 It claims that "Imagine in One bottle, 10 years of Youth in 4 weeks* . 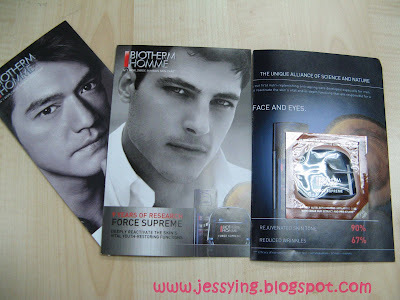 Price at RM240 for 50ml. 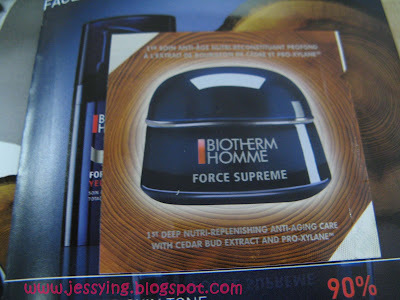 Over the counter, saw this is leave on the table , so we just took it since inside includes sachet of Biotherm Homme Force Supreme's moisturizer. p/s: Thanks to Sasa and her cousin who found out about the freebies . Muaccckss. do we need to be members or anything to get it? Hi , you do not need to be members to redeem the freebies. 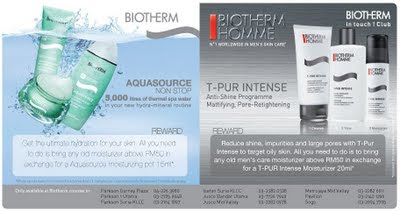 woah nice exchange program, but I don't use biotherm, somehow my face starts to peel from using it. 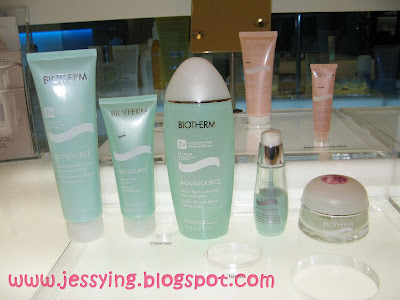 I have dry n sensitive so probably not suitable for biotherm products.